No matter how careful you are or how good the coatings are on your lenses, they will eventually get dirty and or have smears and smudges that will impair your view. When you buy your binoculars, most quality brands will probably supply you a special micro-fibre cloth, but for the best results and to protect your investment, you should use a special lens cleaning kit. 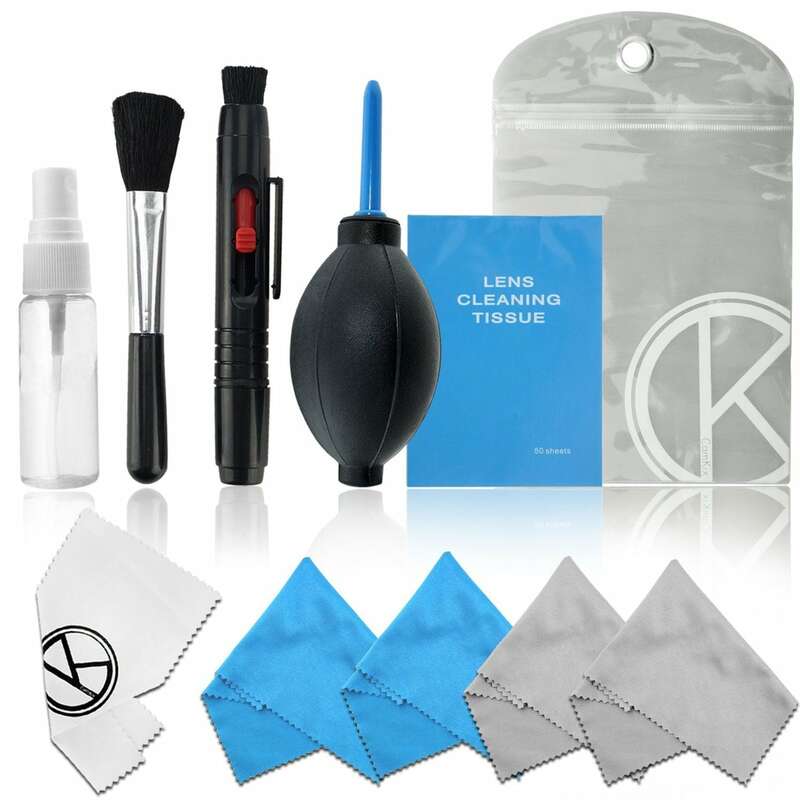 The best lens cleaning kits have pre-moistened, non-abrasive microfiber optical cleaning cloths, specially formulated lens-cleaning fluid to get lenses sparkling clean without harming delicate surfaces and coatings, a flexible lens brush with bellows and absorbent cleaning tissues. It is important for me to stress that before cleaning your lenses with any brush or cloth, you should always try using a less abrasive technique first like air - for more information, take a look at my guide on how to clean binoculars and their lenses. 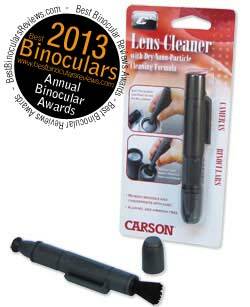 A short while ago I was given a few samples of the Carson C6 Lens cleaners and because I was so impressed, I have been using these inexpensive cleaners on all my camera, spotting scope and binocular lenses since then and they recently went on to win the BBR Award for the Best Binocular Accessory 2013. Introduced in November 2011, the Carson C6 lens and screen cleaners feature a specially formulated C6 dry-cleaning compound that quickly and safely cleans screens and lenses. Alcohol and ammonia free, the dry compound bonds with the oils left behind by your skin, then simply wipes them away, leaving a sparkling clean lens or screen. Currently there are eight different models of the C6 Carson Lens and Screen Cleaners with varying size and shape cleaning pads designed to clean most screens and optical devices including smart phones, tablets, spotting scopes, camera lenses and binoculars. The series consists of five reusable designs and three types of disposable lens cleaners. Of all the C6 Series lens cleaner models, the ideal one for your binoculars is the CS-10 (pictured on the right) - it has a soft tip that is safe and easy to use on your lenses and also includes a retractable brush to remove dust and debris. The compact design also makes it easy to fit into most binocular bags or carry cases. Whilst there is no doubt that the quality of the branded lens cleaning kits from Swarovski and Zeiss (see below) is second to none, they are not cheap. This cost is acceptable if for instance you own a premium quality binocular and want the very best level of care and protection. However for cheap to mid level bins, I still recommend that you invest in a cleaning kit instead of simply using the included cleaning cloth as this will most certainly not only keep that your lenses are perfectly clean, but ensure that you don't damage them when cleaning. The good news is that there are cheaper options available that will most certainly do a better and safer job of cleaning your lenses. But which one to get? A good place to start is to take the advice of others and in this case it means taking a look at the best selling lens cleaning kits on Amazon. 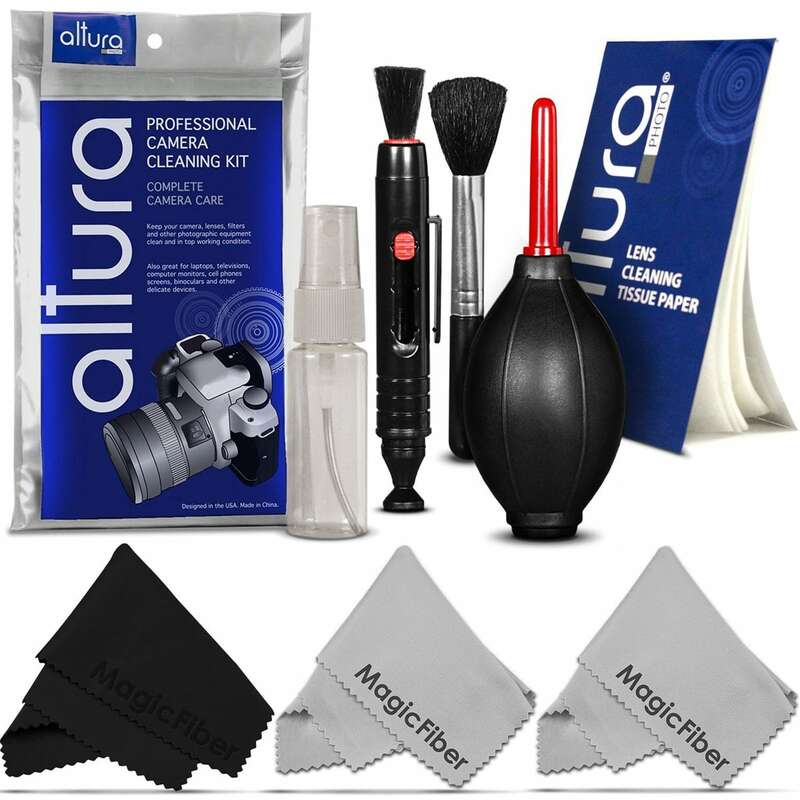 The kit includes a Lens Cleaning Pen System, Lens Brush, Air Blower Cleaner, 50 Sheets Lens Tissue Paper, Handy Empty Spray Bottle and 3 Premium MagicFiber Microfiber Cleaning Cloths. Double sided Lens Cleaning Pen, Empty Reusable Fluid Spray Bottle (Fill with water or your favorite cleaning solution), Air Blower, Lens Brush, 4 x Microfiber Cleaning Cloths. The SWAROVSKI OPTIK cleaning set comes in a great looking belt pouch and consists of some moist cleaning cloths, a cleaning brush and fluid as well as a microfibre cloth. 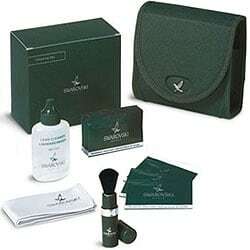 The cleaning cloths and liquid are also available as a set or as a refill pack. 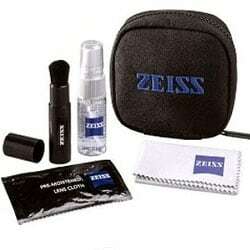 This Carl Zeiss lens cleaning kit includes a brush for removing debris, optical cleaning fluid, moistened lens wipes, a microfibre cleaning cloth along with professional cleaning instructions. Retractable lens brush, 12 pre-moistened lens cloths, 1/2 fl. oz. alcohol-free lens cleaner spray, Microfiber lens cloth, 8 cotton-tipped applicators , Zippered nylon field case travels on your belt. The brush in the lipstick case is great as it helps keep dust and finger oil off it better. The carrying case keeps everything together and is small enough to fit into a jacket pocket.